The new DwellStudio Century Dresser is a lovely piece that will work wonderfully in your baby’s nursery. Later, as your little one grows, this modern dresser will easily adapt to the needs of a toddler and older child. 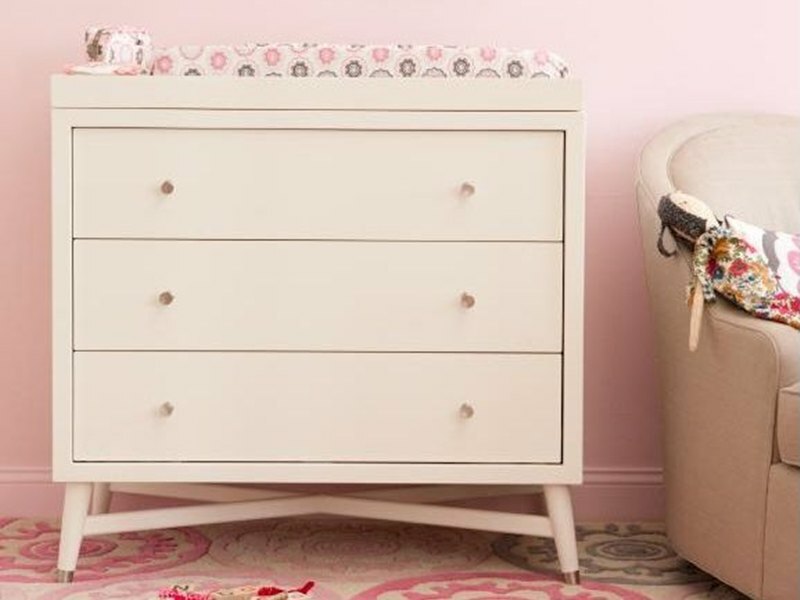 For the newborn, you can transform this dresser into a useful changing table with the DwellStudio Changing Station addition, or your favorite stay-put changing pad. 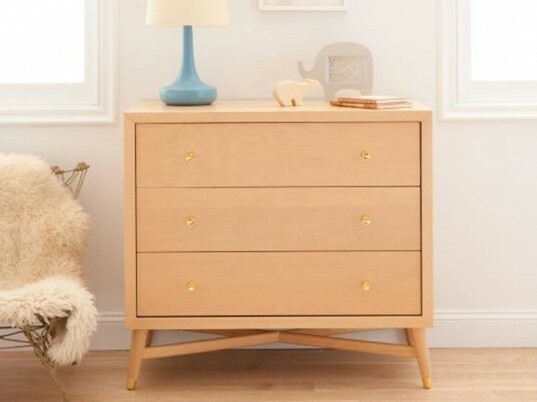 Once your baby is diaper-free, the dresser’s clean lines will nicely accent any child’s bedroom. This modern heirloom dresser ships right to you, fully assembled, and is made with solid birch wood, birch veneer and recovered wood (CARB compliant) plus a lead-free, low VOC and completely non-toxic finish. The Century Dresser features beautiful and handy details, such as vintage inspired hourglass pulls on each drawer; dovetail joinery; dust-proof panels; drawer safety locks; ball bearing metal drawer glides with lifetime warranty; and a soft close drawer mechanism. Available in espresso, natural or french white.